With a deep heritage in Wireless, Video & Satellite Communications spanning over 40 years, Digisat is at the forefront of delivering total global communications solutions. Founded by engineers assembled from world class satellite and broadcast organizations, Digisat is committed to satisfying our customers needs in a professional, timely & economic manner. Digisat serves all vertical markets worldwide with our industry leading communications services and solutions. 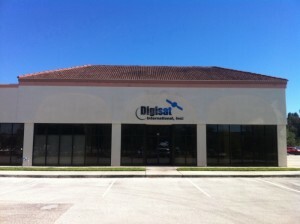 Located in Melbourne, Florida, Digisat’s Melbourne Operations facility supports the Corporate Offices, System Design & Engineering, Integration, Equipment Warehousing and In-Plant Staging Facilities. All Integrated Systems are staged and tested in-plant prior to shipment to the customer’s site. This ensures extremely fast turn-up time & the highest level of success during the final site installation. Digisat’s vast global experience, coupled with our desire to make communications readily available to all areas of the world, gives you a great resource for total turnkey global communications solutions.